The weather has been awful recently, Storm Doris has been and gone, raging through our garden and creating havoc all around. There was a break in the sky and a blast of blue brought us outside, it was incredibly cold but there was evidence of Spring in the air. We took a very short car journey to where my mum grew up. When she was a girl, the housing estate where she spent her childhood was bordered by fields and the ‘Back Lough’ (a part of Lough Erne). She remembers laying on hay bales watching wheeling buzzards, jumping over dams, climbing trees, trespassing (oops) and generally spending all day outside. These days it’s just not like that, everything is sanitised, organised and has a name or activity attached to it. For my mum, and others it was just play, self exploration, intuitive learning and a connection that didn’t need an explanation or a label. Mum wrapped her book in a plastic bag and just went, was gone, the whole day. I’m lucky that my parents give me and my brother and sister the freedom to explore, learn, fall and get up again, get muddy, get soaked and just have fun outdoors! These days, where there was once a field, now sits a 12 acre Local Nature Reserve, Community Garden and allotments. These places are so important for bringing communities together, creating a valuable space for wildlife to thrive and are also tranquil places to enjoy nature and being outdoors. These sanctuaries provide so many benefits for our well-being, mental health, engagement and just sheer enjoyment! We come here a lot; mum reminisces and shows us the rocks she jumped off to swim in the lough, the trees she climbed or the places where umm, she once ‘explored’ birds’ nests. It really is a beautiful place. We have seen Reed Buntings, Blackcaps, Redwings, waterfowl and all our garden bird species too. Today, with the cold nipping at our toes, the reeds were stark against the still sky. There is a pond here too and we have seen frogspawn a number of times, no luck today. In Summer the air is full of dragonflies and butterflies. The grass, welcomingly overrun with beetles. Each season brings a new delight. This nature reserve is known as a ‘Local Nature Reserve’ sits on land owned by Fermanagh and Omagh District Council and has been funded by organisations such as the Heritage Lottery Fund. It is surrounded by hundreds of houses and is a beautiful urban oasis with so much life and biodiversity. I wonder, besides the allotments, how the community use the reserve? I’d love to hear your thoughts, if you are local? Whenever we are there, it is pretty deserted but I know my uncle Sean, who lives nearby, walks here a lot with his kids. It would be a great place for guided Wildlife walks and pond dipping!!! It is such a truly wonderful place and I love that my mum still has such a connection to it and is passing on her love and passion of this place, to us. Wildlife spots today – a very friendly and obliging Robin, Mute Swan, Male Blacbird, Great Crested Grebe, Male Catkin from the Hazel Tree and Coot. There were also swoons of swirling gulls, rooks and hooded crows, just for drama. This past week has also been really great at school too. I have joined our Eco Schools group and along with my teacher, we are coming up with some really great ideas to improve the biodiversity of our school. On Tuesday we installed a handcrafted bird feeder and next week, we’ll be putting up our bird and bat boxes. As soon as we put up the feeder, the Goldfinches were eyeing it up. 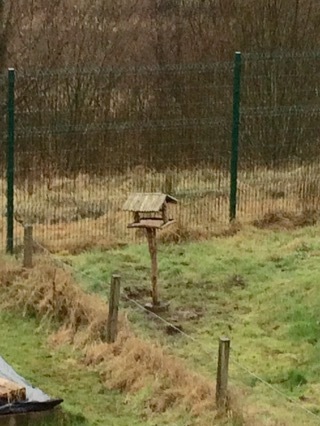 We also have feeders on our science lab Windows too, it’s very distracting but fantastic!! I love how my new school is allowing me to follow my passion and love of nature and wildlife. I have never felt that before. Next week I’m going to do some work at the Erne Integrated Primary School next door. I’ll keep you all posted! I hope you enjoyed this blog and that all my readers are keeping well; to my UK readers, hopefully Storm Doris didn’t cause too much disruption! Previous Previous post: New Nature – Emergence Of The Young Naturalists!! Next Next post: New Garden Visitors -Gossiping Goldfinches and stunning Siskins!! Dara, thank you for another excellent blog, glad Doris didn’t cause you too much bother! A few trees down here in the Midlands, but they were greedily snapped up for firewood! A shame some can’t be left for the wildlife. It’s fabulous that your school is giving you the opportunity to enrich the lives of other children with your love of our natural world. They will remember and hopefully pass it on to their children in years to come. Hi Mairi, hope you’re well. Thank you and I’m glad you didn’t experience too much damage! 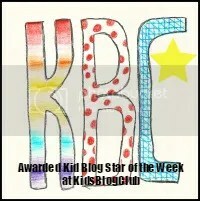 Thanks again, Dara for another brilliant blog. I’m delighted to read about how well the EcoSchools project is going, especially as I was the governor given the job of helping to support it a couple of years ago. Thanks Tanya! It was just myself and Mr R but I’m determined to grow it further! I’m jealous that the goldfinches have found your bird feeder already! My landlady and I have put bird feeders up in the garden, and they’ve been up over a week so far – but no sign of any birds yet. Well, except a fat pigeon!